I personally have a thing for airships - this is a very lovely piece! I only wish I could see the rest of the art in that show, but unfortunately I don't make it to that side of the continent often enough. I can't wait to get over there and check out the show. Thanks guys! This piece was fun to do. The process of creating it has me excited about doing some more. I love both of these. And man oh man, some of the other pages in Amulet 3 are just crazy awesome. You are too good, keep it up! Very nice details, especially with the snow that's caking off the tank-van-convertible as it's chugging along. I must say, I'm really digging the octopus headed man in the front because he's the most different out of everyone. That Amulet 3 thing is great - I love all the boat pieces sticking out everywhere. Really cool illustrations! I like the different styles you use, quite a realistic style for your Single illustrations and this rich cartoon style for your comics. Very nice! That airship is amazing! I think that airships has become one of the biggest myth about industrial progress and the mechanical world. And I think this image (and "Lift Off") continues this myth in a very nice way. Classic! I hope you got to see the Top Gear show with the hot-air ballon camping trip. The preview of Amulet do also look NICE! Loving the new art man! 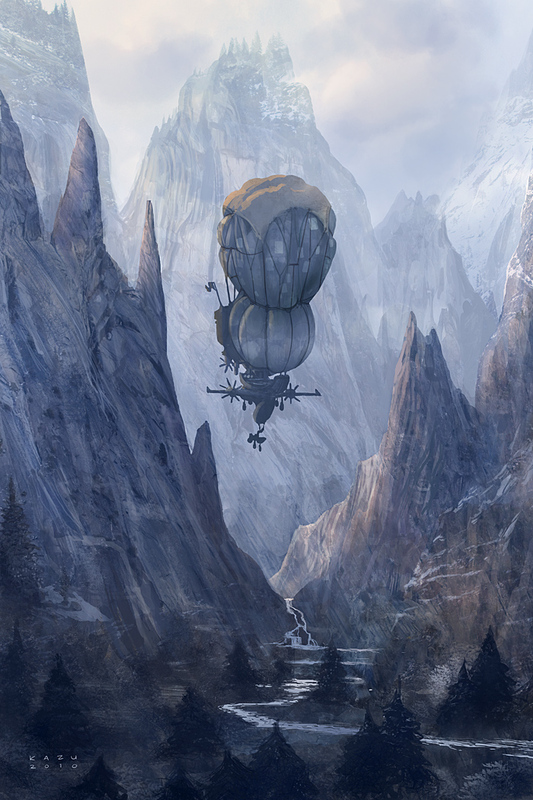 The airship illustration is definitely desktop-background worthy. 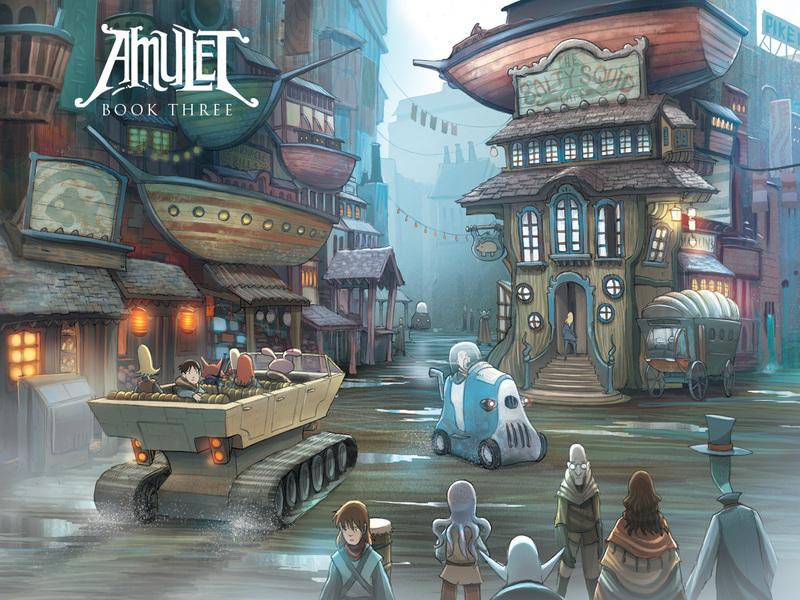 Also, I'm excited to see where Amulet 3 takes us, the art for it looks pretty epic. Any idea yet on a tenative release date?